Original drawing, 5 x6 inches. ink on hemp paper. 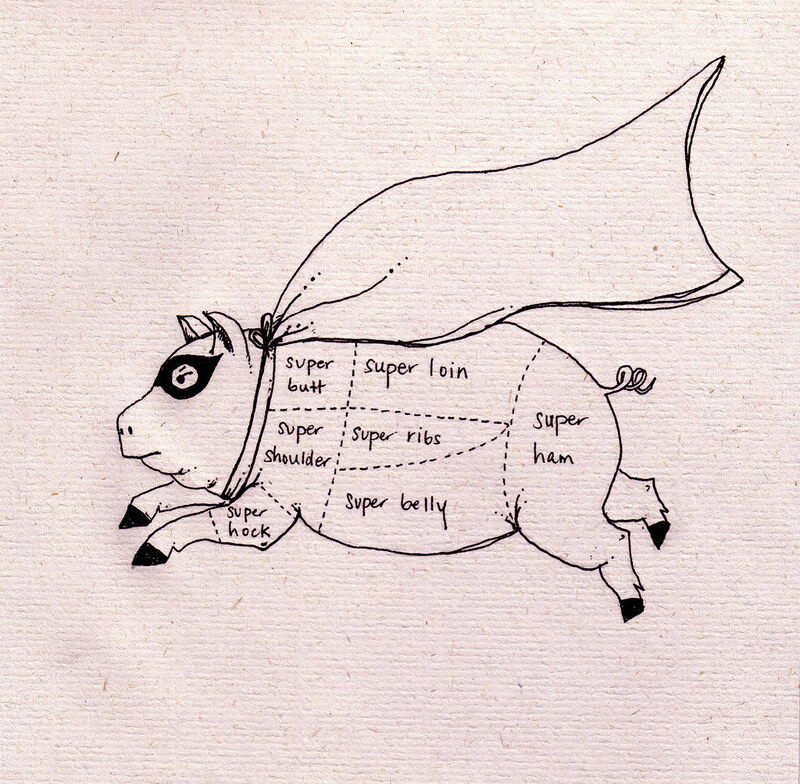 Super Pig's superpower is to provide super tasty meat to all the boys and girls. EDIT: super prints now available in the ole shop! I had superpowers on the brain after going to my friend Kirk's reading last night, where he presented a read-through of 4 ten minute plays that he wrote. One, obviously, involved superpowers. There were also gay ninjas. And flying jellyfish. It was awesome. He he he - I got a good chuckle out of this one. Thanks! :) Thanks JW! This is one of my favorites. glad you like it! Thanks so much Marisa! Daily drawing has been a pretty interesting process. Mostly fun, but sometimes a struggle to get something done. I'm going to be super psyched (like super pig) if I execute 365 meat section drawings.